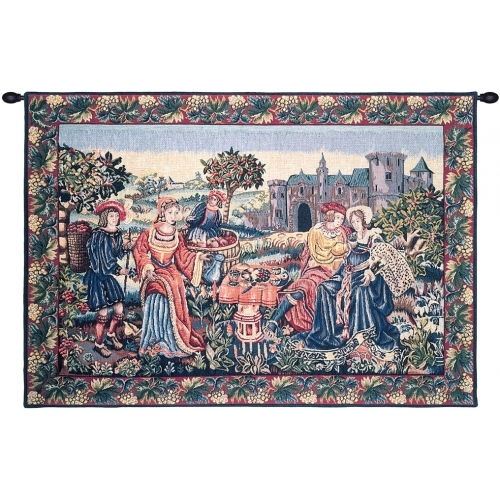 A typical late 15th century vintage tapestry scene, showing the stages of producing wine from harvesting to sampling by the owners of the vineyard. In the Middle Ages, wine was the common drink of all social classes in the south, where grapes were cultivated. A housewife of the merchant class or a servant in a noble household would have served wine at every meal, and had a selection of reds and whites alike. Gently vacuum every 6 months. Dry clean only- when required.